Samsung upcoming Galaxy A-series device, the Galaxy 90 has been attracting a lot of attention following its rumoured rotating and sliding camera design that is to come with the device. There has been several leaks and renders online about the device and the latest leak has surfaced with more details about its internal specification. The device will sport a 6.7-inch FHD+ OLED display with a resolution of 1080x2240 pixels. The display won't be housing a notch of any form or punch hole. The display is tipped to come with a vibrating technology that will enable it to produce sound from the screen as seen on the LG G8 ThinQ and Huawei P30 Pro. The Galaxy A90 will sport a 48MP camera with f/2.0 aperture and an 8MP camera with f/2.4 aperture and a ToF camera. Now this setup is housed in a slide-out design that pops up when the user want to takes a selfie. Apart from the above, the camera set-up housed in the slide-out mechanism can be rotated to serve as a regular rear camera and as well the selfie camera. Though the leak revealed some of the internal specs, other details regarding the RAM size, Internal storage, and others were not mentioned in the leak. 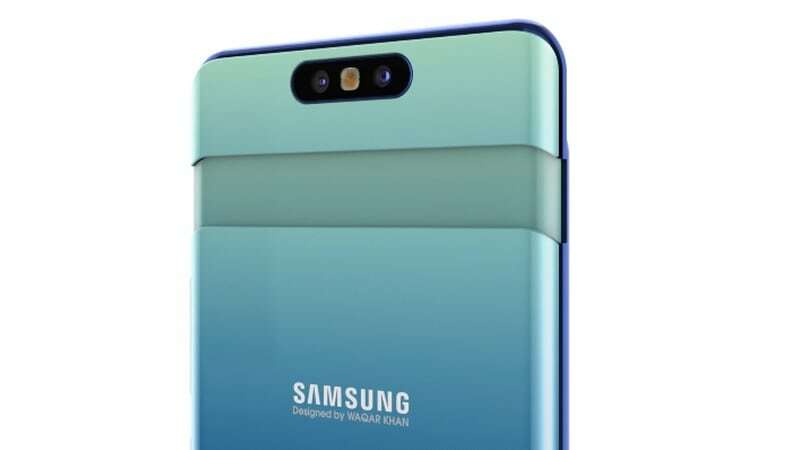 The Samsung Galaxy A90 device has already been listed on the official Samsungs US website, the device is expected to launch on April 10 and will offer some exclusive Asphalt 9 content and freebies to buyers.